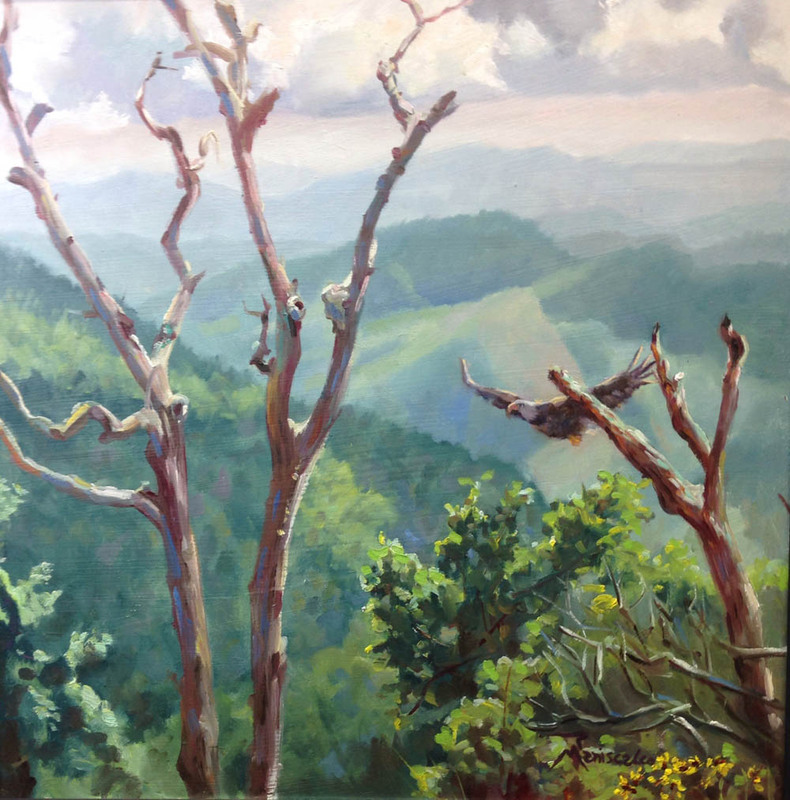 Pisgah Mountain View was the result of a lovely afternoon of plein air painting in the mountains along the Blue Ridge Parkway in NC. The juxtaposition of the lush country greenery against the dead branches captures the cycle of life in the mountains. I added the Bald Eagle in the studio. I think it adds an important element. Pisgah Mountain is named after the mountain Mosses climbed to see the promised land.